So many things went wrong for the children of Flint and now we know that the root of the problem was failure of the government to ensure the safety of their water supply. Finally, Flint’s lead poisoning crisis has begun to subside. The latest data reveals that 146 children under six years in Flint and its Genesee County suburbs tested positive for lead poisoning in 2016. It’s a very different story here. The latest Pennsylvania data shows a shocking 3,415 children living in Philadelphia and its suburbs tested positive for lead poisoning. While government in-action is one reason these children will never reach their full God-given potential, it’s not the only reason. If our region’s rate of childhood lead poisoning was consistent with the rate that Flint experienced when their water supply was tainted with lead, 1,460 children in Phila and the suburbs would have tested positive, not more than 3,400. As outrageous as it may be, the truth is that the rate of children in Southeastern Pennsylvania whose lives will be forever damaged by lead is six times greater here than in Flint. Here, most of our kids are mostly being poisoned in their homes by the remnants of lead paint. Yet our kids’ tragedies are not getting national attention. Nearly 100 years of research shows that when children ingest lead their lives are forever changed. These young children are likely to be saddled with a cognitive delay that will rob them of a lifetime of opportunity. A significant percentage will suffer from stunted impulse control that will be at the root of a tragic encounter with law enforcement that steals from them the chance of a prosperous adulthood. And some of these youngsters will be haunted by anxiety or depression that’s incurable because the cause of their condition is buried deep in their bones. Back in the day, when lead was added to paint it was advertised as being long lasting. All these years later, thousands of children in our region poisoned by lead paint and lead paint dust reveals the tragic truth of its advertising. One thing about lead: it sticks to whatever it comes into contact with, including our children’s blood and their bones. That any child is still poisoned by lead 40 years after its use was banned is an outrage. What’s worse is that the government has been picking up the tab of lead paint removal to keep children safe. Even the most ambitious public effort has barely scraped the surface of the enormous task of abating millions of houses and apartments that are contaminated with decades of lead residue. 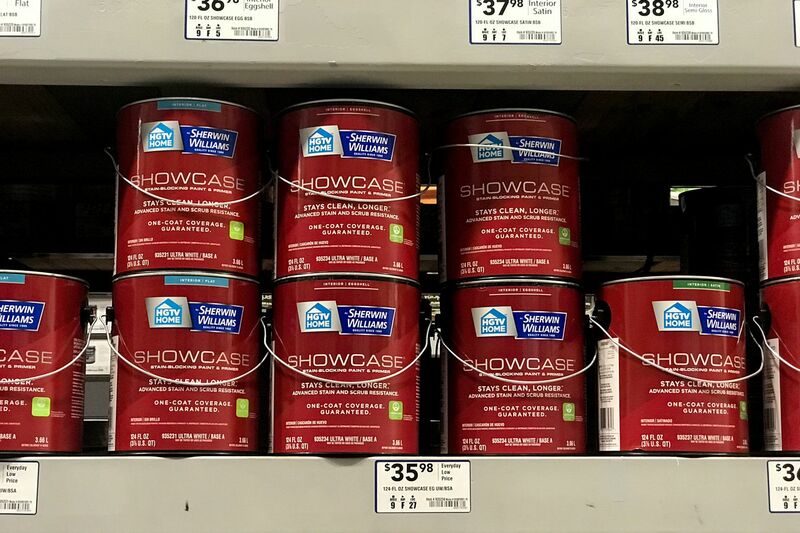 Last summer, the California Supreme court found the paint companies who produced lead-based paint liable for the cost of lead removal from homes and public buildings and required them to pay a $1.15 billion to pay for the cost of its removal from homes and public building. We believe that, given the opportunity, Pennsylvania Courts may come to the same conclusion. That’s why we applaud the leadership of Montgomery and Lehigh counties for asking the courts in Pennsylvania to review the facts and make that same determination. These public officials are true champions for children and deserve the praise and gratitude of every resident of their respective counties. Ideally other county officials and the City of Philadelphia also will turn their sights on the companies that are truly responsible for the toxic legacy of lead in our homes and join these counties in court. Unlike the water crisis in Flint, these companies, not the government, are logical source of the funds needed to get the lead out of our homes and safe our children from the inalterable consequences of lead poisoning. Donna Cooper is executive director of Public Citizens for Children & Youth.